We're told from a young age that we should never speak ill of the dead. It's disrespectful, pointless, and unkind to their relatives in mourning. 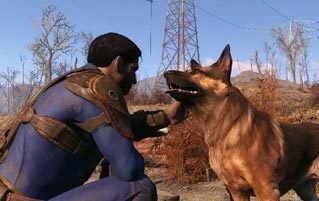 And besides, it's not like they can fight back -- at least until the zombie apocalypse happens and your smack talk earns you a bite in the throat. But what happens when the deceased is a bad person? Do you stay quiet, or let 'er rip and get something resembling closure? There's no clear consensus, but one family just kick-started the conversation by choosing to memorialize their mother with an obituary that spits more pure fire than a thousand crematorium ovens. 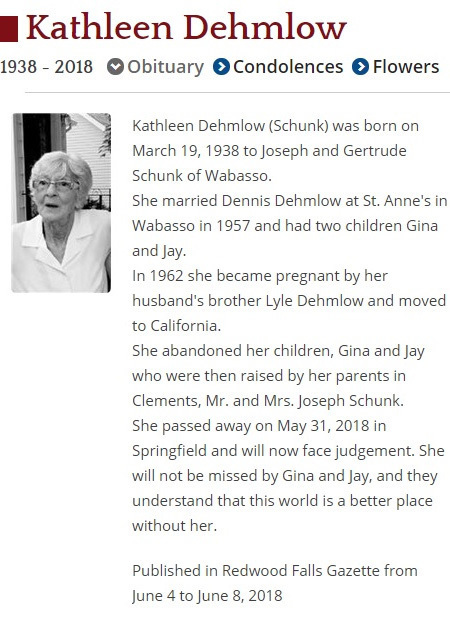 The obituary was dedicated -- although that word seems oddly inappropriate here -- to Kathleen Dehmlow, an 80-year-old woman who (if the piece is to be believed) passed away after living a full, happy life with her husband and two kids ... and then abandoning everyone to go and live another full, happy life with her husband's brother. The two kids she tossed away, Gina and Jay, have been holding onto some major anger ever since, hence why they wanted to wish their ol' mom good luck with the newest man in her life: Satan. The obituary soon went viral, and a civil war broke out in the comments of The Redwood Falls Gazette (the newspaper responsible), with righteously indignant people on both sides of the metaphorical aisle arguing over whether the memorial was inappropriate or righteous, man. The Gazette has now removed the obituary from their website -- which seems pointless, considering that the influx of traffic removed their website from the internet -- and a new-deleted comment clarified that the obituary was published over the objections of nearly everyone in the office. That's a dangerous thing for them to admit. They have to know that Gina and Jay can hold a grudge, right? For more, check out The Internet's Greatest Meme Just Got A Whole Lot Creepier and This Lego Adaptation Of 'Dark Souls' Is Weirdly Perfect.